Last Pass at https://lastpass.com for $12/year (free to try) from Leo Laporte. Etymotic Research HF2 Earphones / Headset (iPhone Compatible) – Black for $128.94 (on Amazon) from Alex Lindsay. 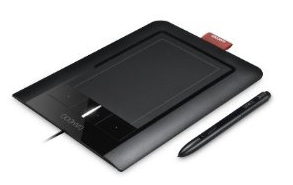 Wacom Bamboo Pen and Touch Fun Small Tablet for $85 (on Amazon) from Andy Ihnatko. Darkroom Premium for iPhone for .99 from Scott Bourne. Smart Utility at http://www.volitans-software.com for $25 from Peter Krogh. Lost on Planet China: One Man’s Attempt to Understand the World’s Most Mystifying Nation from Andy Ihnatko. The DAM Book: Digital Asset Management for Photographers by Peter Krogh.